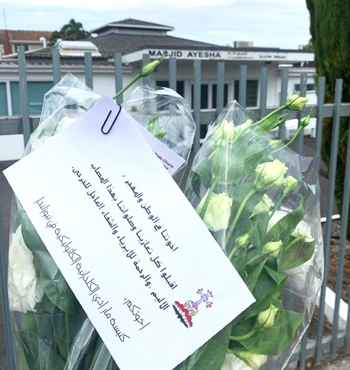 AUCKLAND, New Zealand (CNS) — The St. Addai Chaldean Catholic community in suburban Auckland felt the impact of the Christchurch mosque killings with a special poignancy, because many members have experienced the sufferings inflicted by terrorism. Father Al-Bazi said people at his church have said they are scared in the wake of the events in Christchurch, fearful of revenge attacks. Father Al-Bazi said most of his community came to New Zealand seeking a safe place, and the violence that happened in Christchurch is unacceptable. Police were stationed outside the church and told Father Al-Bazi, “It is for your protection.” The priest said he asked the officers to park a little down the road, so as not to alarm Massgoers.